Are you ready to uncover the best hair wax for men? Hair wax for men is especially versatile: with it, you can style your hair into a formal, textured, or completely natural look, depending on your style. And while we know you’re familiar with men’s hair wax, figuring out which product is right for you is a whole other matter. To save you the time and hassle of testing the hundreds of hair waxes out there, we’ve compiled a handy guide on the best hair wax for men, below. The basics: What is hair wax? Now, if you’re not sure what hair wax is and want to quickly brush up on your product knowledge, we’re happy to help. Similar to the feel of hair clays or pastes (but lighter and more fluid), men’s hair wax products offer a natural-to-medium hold, with a greater degree of mouldability. This means you can rework and restyle your hair as much as you want during the day. Depending on the one you pick, they can either be matte or add shine, which means they work really well for relaxed and formal hairstyles. What can a men’s hair wax be used for? It can help boost texture and thickness, control frizz and leave your mane looking on-point in one fell swoop. Recommended: How to use hair wax. If you need a reliable hair wax for men that will help hold your hairstyle in place all day, look no further than this. It helps to shape and mould your hair for a long-lasting hold, but it washes out really easily, too. So, don’t worry about that pesky product build-up. 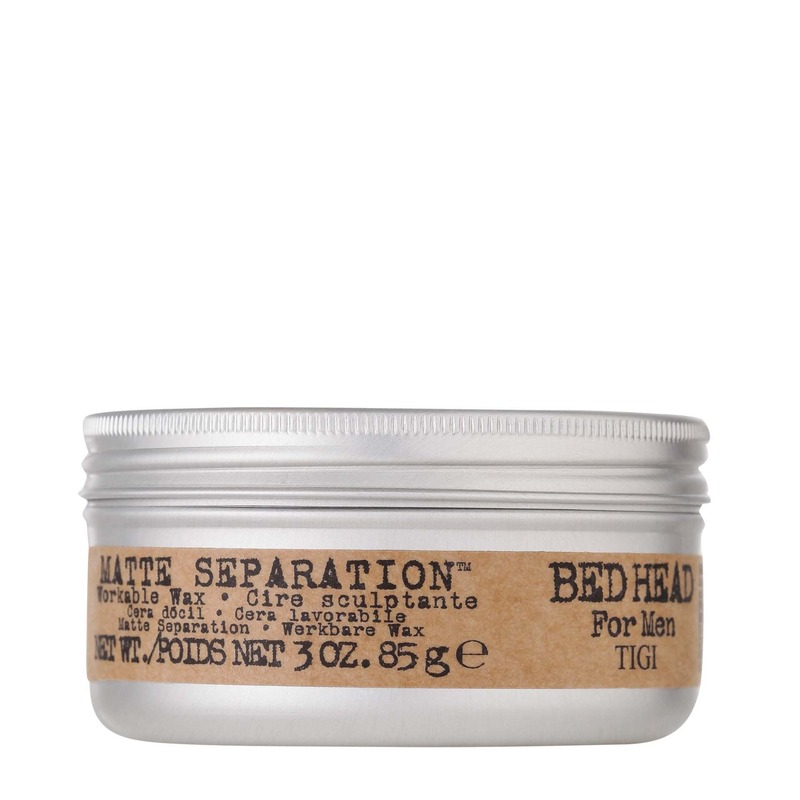 Gents who want a matt finish, meet your new mate: the TIGI Bed Head Matte Separation Workable Wax. Use this hair wax for men on dry hair to finish, or on damp hair for a more natural look. After you’ve worked it through your hair, use a dryer to melt the wax into your desired shape (using a hair dryer to help lift the roots will create movement at the top of your hair). Once your hair is dry, run your fingers through, raking as you go to help create great texture and add natural volume. 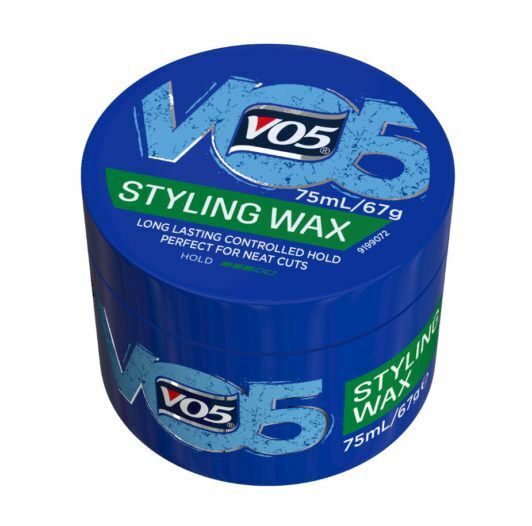 A bonus of this product: the formula, containing beeswax, will help to give structure and fullness to your hair fibres, meaning this hair wax is perfect for styling defined, fuller-looking hairstyles, like quiffs or pompadours. When trying to style short hair, a strong-hold product can yield perfect results. 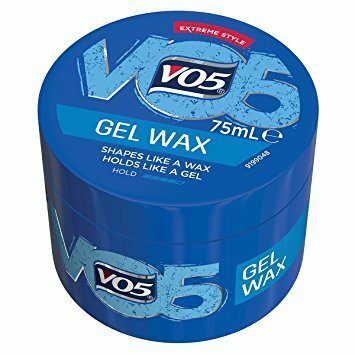 And, the VO5 Gel Wax is the best hair wax for men with shorter strands to use. It combines the holding power of a gel but without the crispiness, and the cool shaping of a wax but without the greasiness. This means it’s a great styling product for those who still want their hair to look and feel soft, but have pliable hold. But as with all hair waxes, by modifying the amount of product you use, you can create harder or softer hair styles. If your hairstyle only requires a medium hold, and you don’t want too much texture (e.g. for a subtle comb over), then opt for the Toni&Guy Wax Stick. This wax will help you create a classic polished hairstyle with subtle detail and definition. Apply the stick directly onto your hair, or alternatively, rub the wax between your palms to warm it up before spreading it through dry hair. 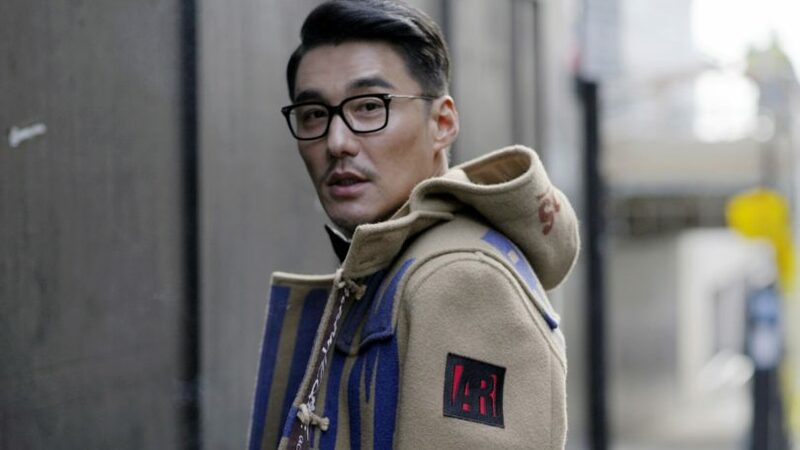 Want your moustache to look as dapper as your ‘do? 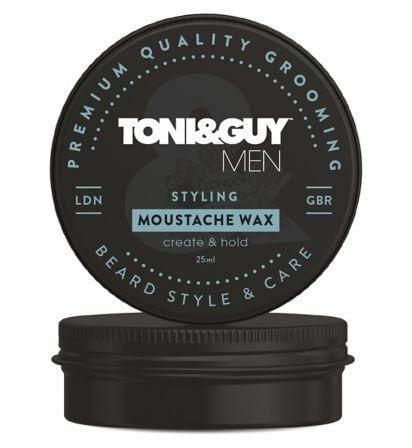 Then you’ll need to try the TONI&GUY Styling Moustache Wax. 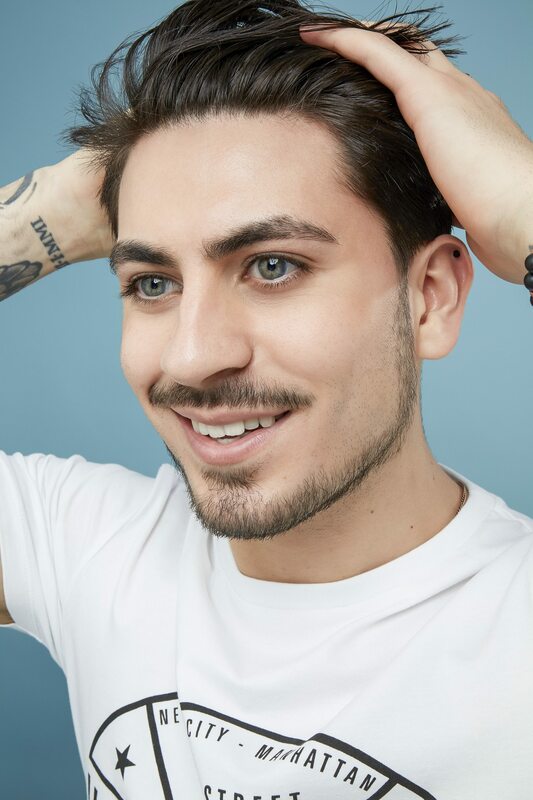 This is the best hair wax for men with facial hair, as it is firm yet flexible and allows you to tame your moustache and create your own unique look. It also washes off without leaving and build-up or residue — bonus! Hair clay, pomade, or paste: What are the differences?